As I’m sure your mom always told you, breakfast is the most important meal of the day. The problem is, too many of us skip it because we claim to have no time for it. But skipping breakfast will only make you hungrier and more prone to overindulging later in the day. So my solution for you is to prepare breakfast overnight and have it ready to go in the morning. Luckily, these recipes are ideal for overnight preparation and perfect for eating on-the-go – just pack it in a cup and head out with your tasty treat. Yum! 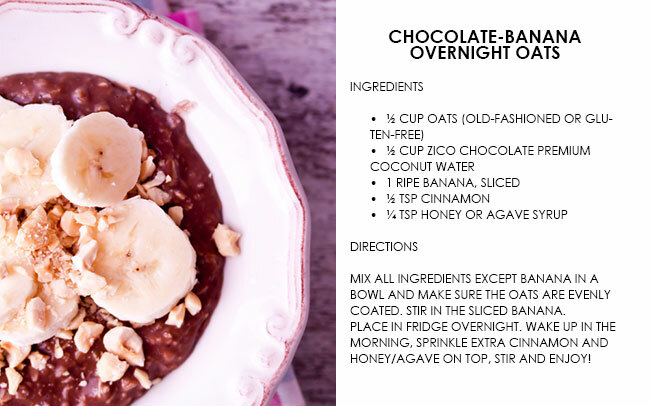 Chocolate-Banana Overnight Oats: If you’ve ever wanted to have chocolate for breakfast, then this is your chance. 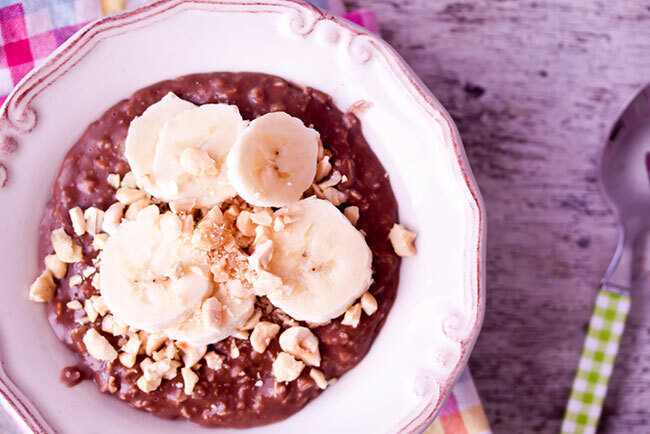 This recipe also makes for a great afternoon snack when that inevitable sweet craving hits. Use Zico Chocolate Premium Coconut Water as a base. 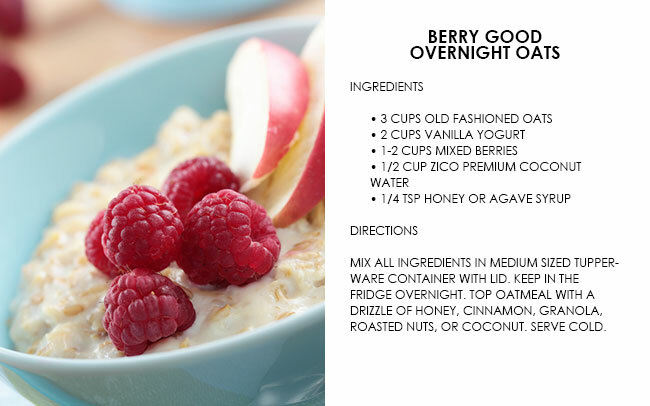 Berry Overnight Oats: If fruit appeals more to your palate, then this antioxidant rich mix, made with Zico Natural Premium Coconut Water is for you. To keep up with your fitness goals this year, be sure to check out Larsa Pippen’s channel on MeetON.com.